The fastest and most accurate profile metrology system available for long parts or multiple short parts. 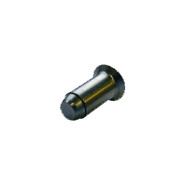 The P4K's strongest feature is the ease of use by line operators -- it is able to scan multiple single parts or one long part in one operation. Conventional methods measuring long components to a high degree of precision require high magnification vision systems and precision stages that require a fair amount of programming and are not suited for the factory floor. On the P4K, parts are simply clamped in a fixture and scanned with a mouse click. 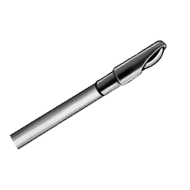 It has the ability to scan multiple single parts or one long part in one operation. By pulling the product through a laser gauge using a high precision linear stage, and matching diameter and length readings in real time at a rate of 10,000 readings per second, we are able to produce an astounding data set, where we gather a diameter and length reading every 30 millionths of an inch. Reporting, lot control, and data aggregation for SPC analysis are standard features. 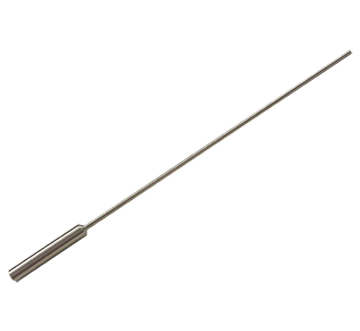 However, the P4K's strongest feature is the ease of use by line operators. The best way to determine that the P4K will meet and exceed your measurement needs is to have us perform a Gauge R&R study using your actual parts! Please contact Glebar for further information. 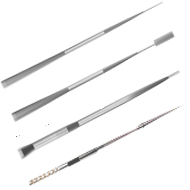 The P4K represents the culmination of years of experience in understanding the unique challenges and requirements in measuring long cylindrical shapes in a manufacturing environment. 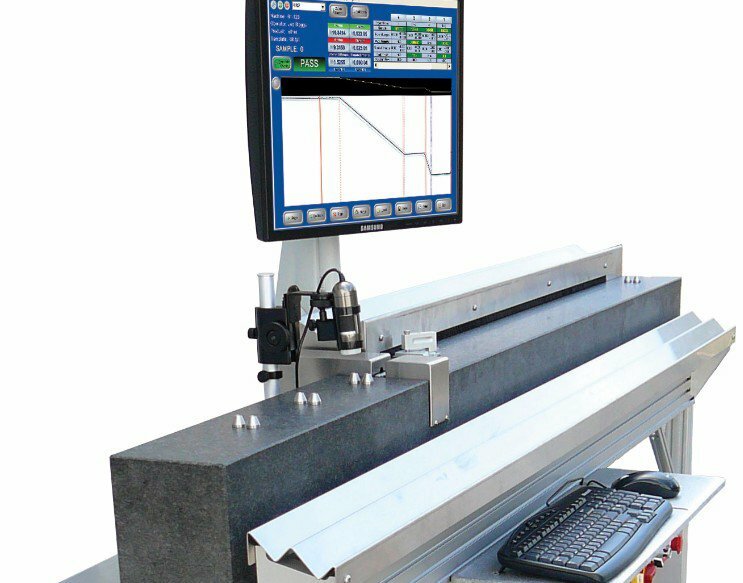 Capable of scanning geometric profiles accurately at up to 3 inches/sec (75mm/sec) the P4K was designed to eliminate the production bottleneck caused by inspection on the floor. 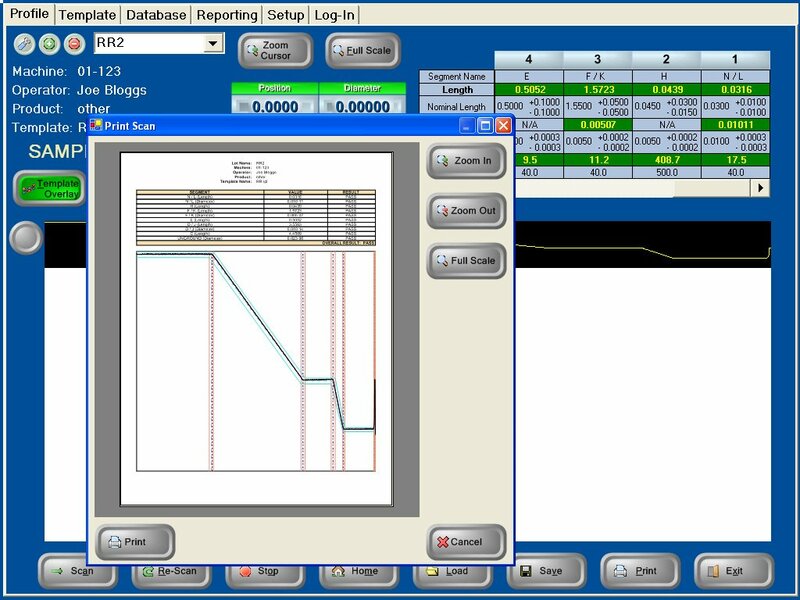 By employing a simple user interface, inspectors and machine operators can quickly determine product quality on the manufacturing floor. The P4K provides quality managers enough analysis data and traceability to comply with the most stringent quality requirements. The P4K utilizes the latest in high-speed, high-accuracy optical micrometer technology, combined with a unique linear motor design and a high speed real-time data acquisition setup. By pulling the product through a laser gauge using a high precision linear stage and matching diameter and length readings in real time at a rate of 10,000 readings per second, the P4K can provide diameter and length readings every 30 millionths of an inch, resulting in superior gauge repeatability and reliability. On the GT-610 CNC machine, the P4K serves as a setup reduction device while providing feedback of the entire component geometry for all parts in a cycle to automatically correct the grinding wheel dress shape (correcting the wheel dress shape from any measurement device is patent-pending). 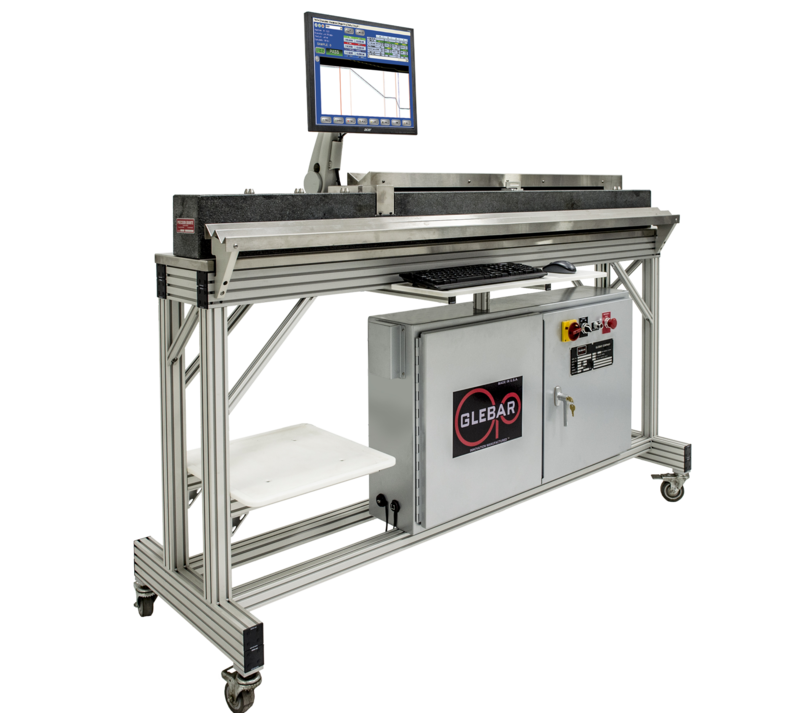 For other compatible Glebar machines, (GT-610, GT-610 SD, CAM.2 and GT-9AC) the P4K serves as a closed-loop quality control device that feeds back diameter to the control system for automatic size compensation. 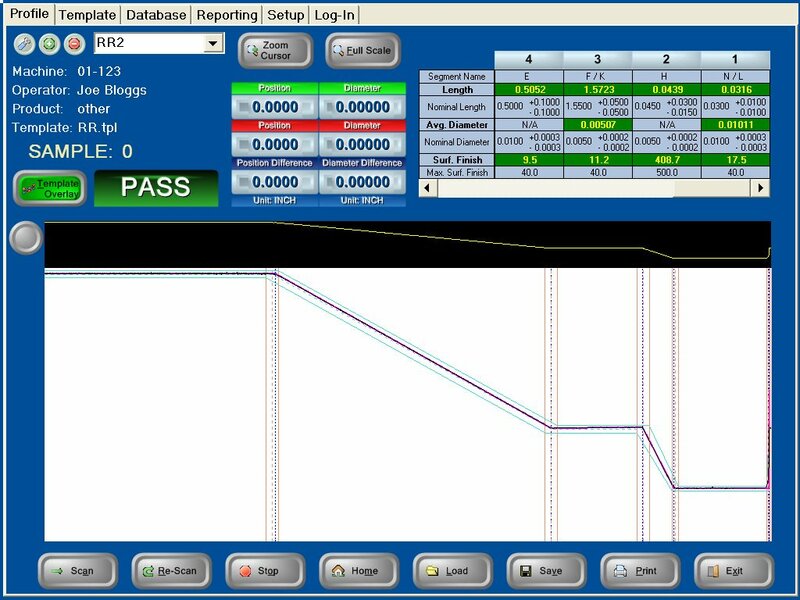 The GO/NO GO result is derived automatically as the system locates transition points on the scan.Using an optical micrometer with no moving parts ensures stable calibration and no deterioration of diameter readings over time, the P4K is configured for long-term, worry-free operation. Designing a template for inspection is as simple as picking points on a graph. The GO/NO GO result is derived automatically as the system locates transition points on the scan. 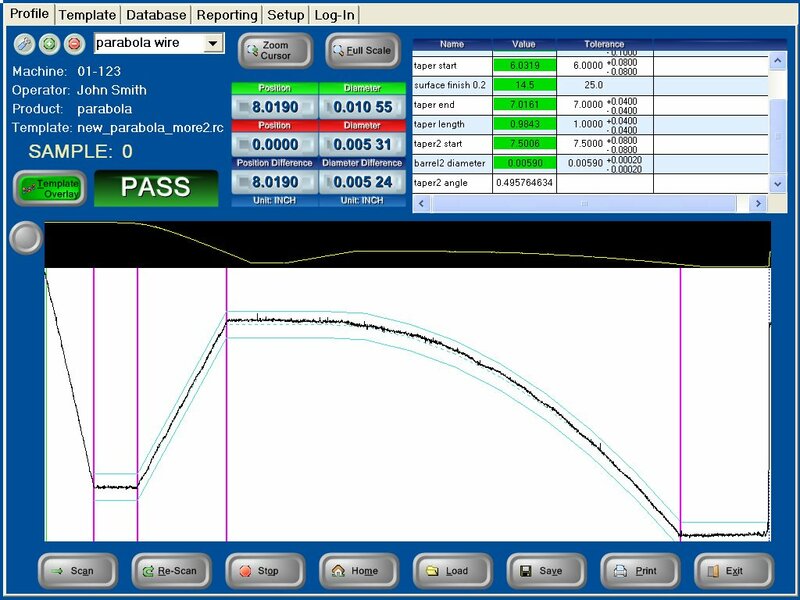 The P4K metrology device scans and provides feedback of the entire component geometry for all parts in a cycle to automatically correct the grinding wheel dress shape (correcting the wheel dress shape from any measurement device is patent-pending). This is done in a matter of seconds, drastically reducing setup time and improving quality control. 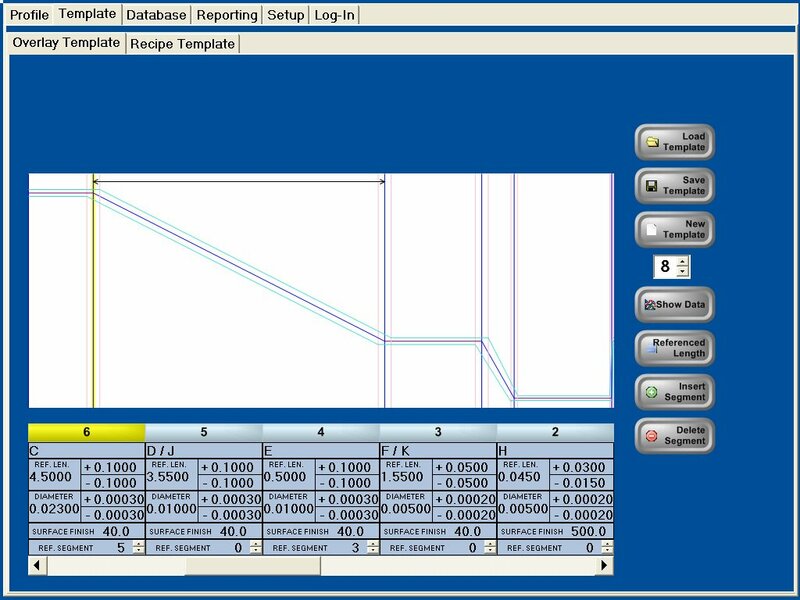 Fast scanning - even minute defects are clearly visible and measurable! Templates can be specified as easily as length/diameter, nominal, and tolerance. Three levels of password protection, customizable to a fine level of granularity, prevent unauthorized access to the system. Supports multiple languages: English, French, German -- more languages possible. Supports any combination of English and Metric units (inch, cm, mm). Machine Weight : 1300 lbs. Data Rate : 40" (1 m) of measurement travel in a single scan. High speed, hard real-time data acquisition better than 10 kHz.